Apologies, friends — I had to delete this post. Too much material that's really central to the book-in-progress. I'll figure all this one one of these days. a beautiful, moving reading. thank you. Commentary on technologies of reading, writing, research, and, generally, knowledge. As these technologies change and develop, what do we lose, what do we gain, what is (fundamentally or trivially) altered? And, not least, what's fun? Alan Jacobs is Distinguished Professor of the Humanities in the Honors Program of Baylor University and the author, most recently, of How to Think and The Book of Common Prayer: A Biography. His homepage is here. 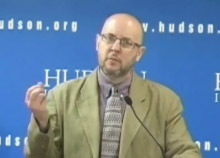 Watch video of Alan Jacobs discussing his book in a Washington, D.C. lecture in June 2011.